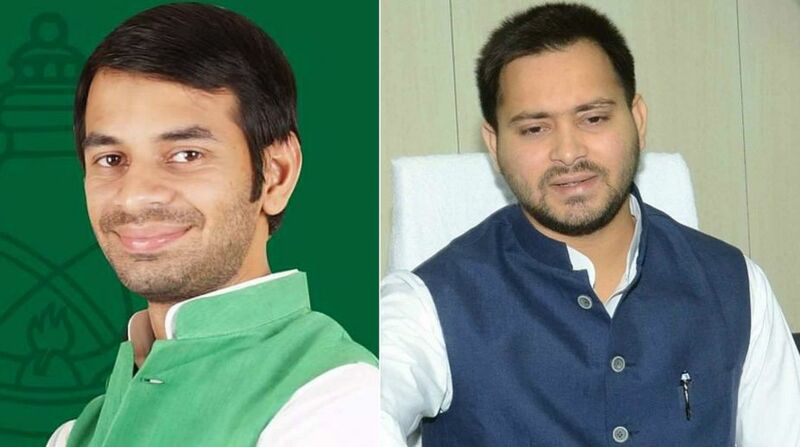 Leader of Opposition on Bihar Assembly Tejashwi Yadav on has downplayed reports of rift between his elder brother, former Health Minister of state, Tej Pratap Yadav, while claiming that rumors were being spread to divert people’s attention from real issues affecting Bihar. While addressing the media, Tejashwi Yadav said that his elder brother is his “guide”. He also urged people not to make a “mountain out of a molehill” and asserted that Tej Pratap had also spoken about strengthening the party. Tej Pratap Yadav had created a flutter in political circles with a tweet signalling a rift between him and his younger brother Tejashwi Yadav. In the tweet on Saturday, RJD leader Tej Pratap Yadav said his desire was to “get Arjuna seated on the throne of Hastinapur and himself return to Dwarka (like Lord Krishna)”. The metaphor is being seen as his desire to retire from politics following RJD heir apparent and his younger brother Tejashwi Yadav’s accession to power. Hours later, Tej Pratap Yadav, appeared before the media, with sandalwood paste and vermilion smeared on his forehead. “I will remain in politics…. This party has been set up by my father and he has toiled hard to make the RJD what it is today,” he remarked. “But there is a threat to the party from some insiders. They are anti-social elements who are destroying the party by furthering their own agenda invoking the name of my parents, Tejashwi, Misa (eldest sister and Rajya Sabha MP) and myself,” Tej Pratap Yadav said. 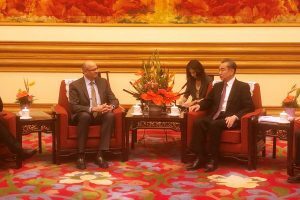 “I feel slighted when I telephone a party functionary for some work only to be silenced by the remark that there were different orders from the top,” he said without elaborating. He did not name anybody, but clarified that he harboured no ill-will against Tejashwi Yadav younger to him in age, but bigger in political stature – whom he called “mere kaleje ka tukda”. Later, Tej Pratap said “I don’t know how such things (rumours of rift among brothers) are being spread. Nobody is fighting at all. How can I have problems with him (Tejashwi). I want him to grow and become the Prime Minister. As a brother, my blessings will always be with him,” he said.